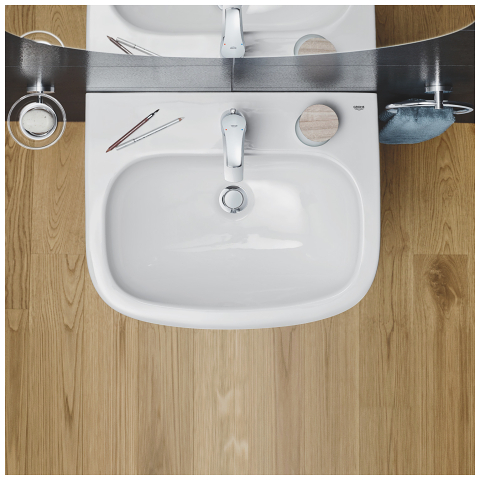 GROHE’s Euro Ceramic turns even small bathrooms into innovative design objects. Flowing lines create a relaxed wellness atmosphere in the bathroom and meet individual style requirements. Following the success of Bau Ceramic, GROHE has introduced a second ceramic line with Euro Ceramic, thereby positioning itself as a full-service provider for the bathroom. As part of the globally connected LIXIL family, GROHE benefits from extensive expertise in all areas of bathroom equipment: inspiration from the centuries-old Japanese bathing culture as well as decades of experience in bathroom ceramics characterize GROHE as a partner for harmonious bathroom design from a single source. With their unique, flowing design, the GROHE design team tailored the products of the Euro Ceramic line precisely to match the fittings of the Eurosmart and Eurostyle as well as the Eurosmart Cosmopolitan and Eurostyle Cosmopolitan lines – a perfect combination of form and function in proven quality. The collection combines excellent performance at an attractive price and includes everything needed for the perfect bathroom design. An advantage especially for small bathrooms: Due to their compact size, the Euro Ceramic washbasins and toilets make the most efficient use of the space. As a full-service provider, GROHE offers holistic PerfectMatch solutions for the bathroom of which specialist retailers benefit in particular: product selection and bathroom design are simplified and individual customer requirements can be met with a perfectly coordinated solution in a unique GROHE design – from a single source, from the base to its finish. GROHE simplifies the selection for the customer directly on the screen: Online, the various combinations of GROHE fittings and matching GROHE ceramic products can be easily illustrated using the slider display. If the customer has found the perfect combination, a separate page displays the product information. All information can be printed directly and is available for download. Innovative technologies of the fittings and ceramic products of the Euro lines guarantee maximum hygiene and maximum comfort for the consumer. During the development process of the new product lines the focus was on the high-quality toilets, whose features stand out in the competitive environment. These include, as standard, rimless flushing technology and a toilet seat that closes gently and quietly and can be easily released from the toilet. As a result, the toilets are particularly easy to clean, and the PureGuard hygiene surface also prevents up to 99.9% of bacterial growth in corners and crevices thanks to special ions. In addition, the Euro Ceramic toilets come with a triple vortex flush, in which three water inlets create a vortex that optimally cleans the entire interior basin. This type of cleaning is significantly quieter than traditional toilets. Since January 2018, the washbasins, toilets, and bidets of the Euro Ceramic lines have been available on the EMENA market and in stock. The GROHE ceramics website http://ceramics.grohe.com contains all relevant product and planning data as well as BIM data, product information, videos, and photos of all GROHE ceramic products for download. With its ceramicslines Cube Ceramic, Euro Ceramicand BauCeramic, GROHE has become a full-servicebathroom supplier creating the perfectcombination of design and functionality. 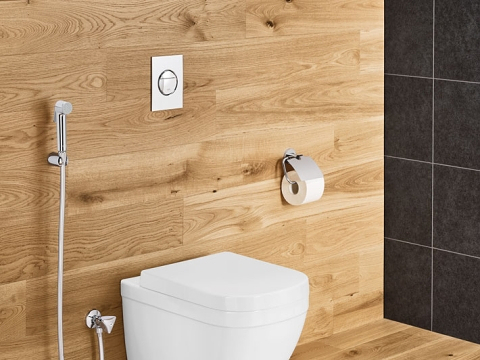 From washbasins in different sizes to bidets and toilets, GROHE offers a comprehensive assortmentof bathroom ceramics that will suit every style and perfectly match GROHE faucets, toilet flush plates and accessories. Above all, partners who want to serve their customers' individual wishes with PerfectMatch solutions from a single source benefit from the fully integratedceramics lines. 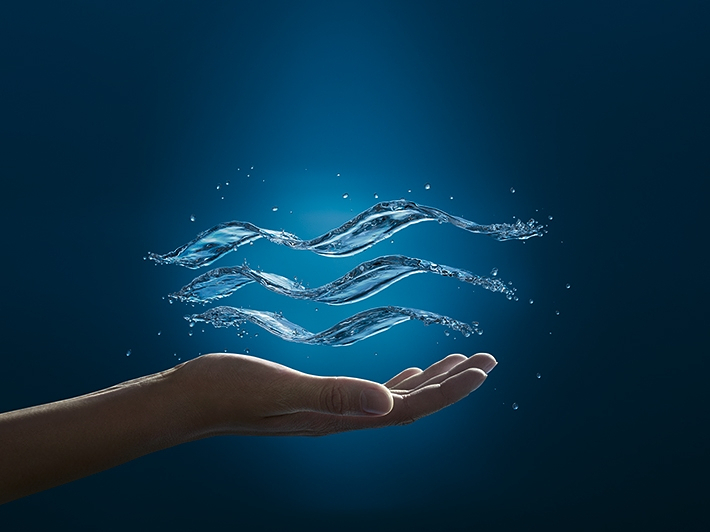 Thanks to innovative technologies, GROHE ceramics are characterised by maximum hygiene, longevity and comfort –an excellent combination of form and function. Euro Ceramicfeatures a modern style and flowing lines. With its geometric and clean lines,Cube Ceramichighlights the contemporary bathroom’s luxury and exudes sophisticated elegance. Bau Ceramicblends harmoniously into any bathroom ambience and strikes with a timeless look and soft, rounded shapes.